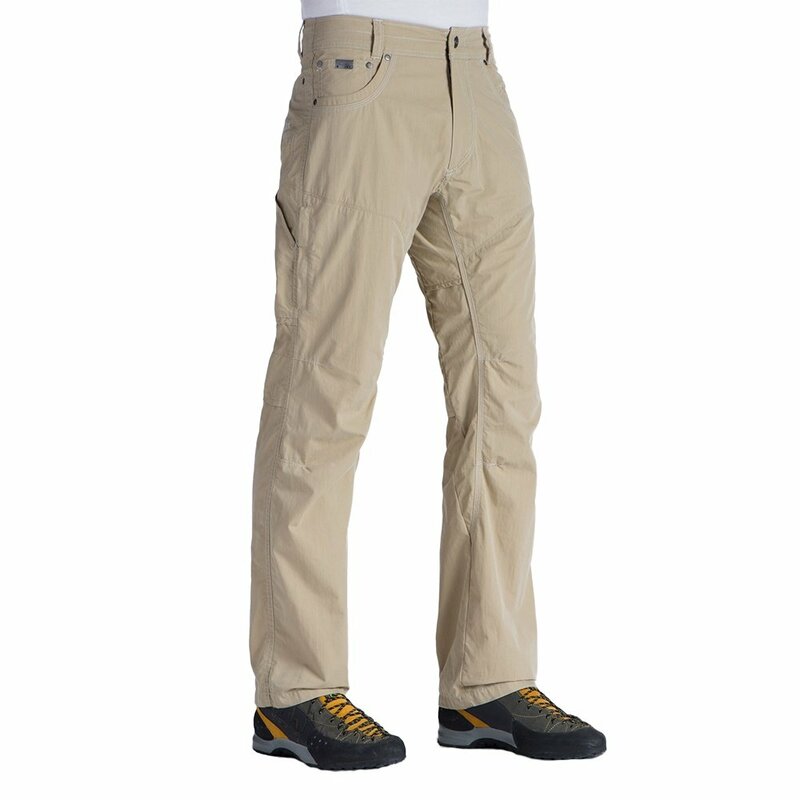 There aren't many pants you want to wear in hot, muggy conditions, but the Kuhl Kontra Air™ Pant is one of the few. Engineered for wear in humid environments, this pant's Kontra™ fabric wears light and breathable for comfort in mid-summer. A full 11 mesh vents accelerate breathing and let the air flow quite freely, leaving excess heat behind. The vented, articulated knees keep you moving swiftly ... hopefully somewhere cooler. Nine pockets offer more than enough storage for gear-heavy trips.